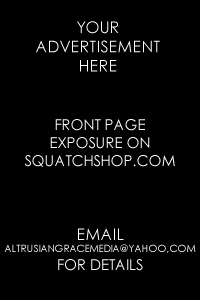 Please contact us for advertising, link trading, Squatchy comments, or if you'd like to submit photos, stories, or eyewitness reports. Despite the lighter approach to the Squatch Shop, we take the subject very seriously. Anyway, hope everyone digs it! If you'd like to see other drawings please check out the ARTWORK page at my main blog http://altrusiangrace.com and you can support my work by buying some merchandise at my REDBUBBLE store. Please comment if you want to see this design in my store! I'm trying to save up for some Copic markers in order to add some color so your support is greatly appreciated! 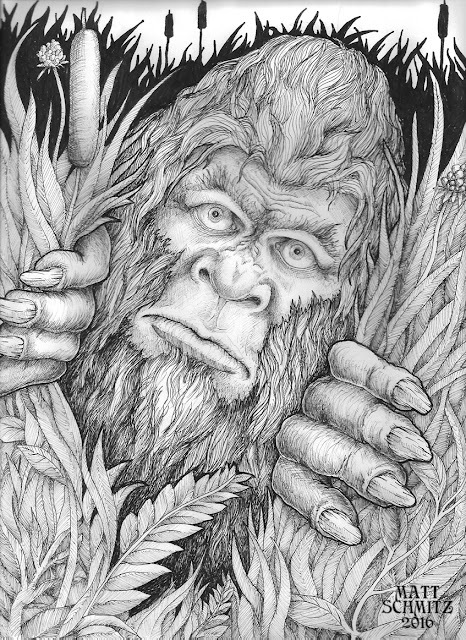 Is Sasquatch a "Missing Link"? Over the years, many people have speculated about Sasquatch as some kind of missing link in the evolutionary history of human beings. Certainly at first glance this may seem quite plausible considering what most of us were taught in school growing up.